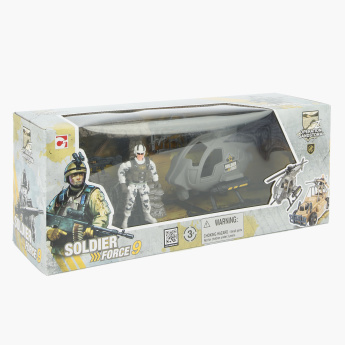 Soldier Force 9 Rapid Patrol Assorted Playset | Multicolour | Join the hero with his action vehicle and lots of accessories and help him save the world from doom. Get your champ this assorted playset to make him feel like a hero. 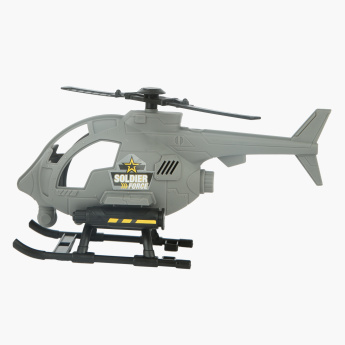 This playset comprises of an action figure, a vehicle, weapons and tools, which will keep your kid engaged during his play time. Centred around the idea of saving the world, your kid learns a great deal about imaginative roleplay. 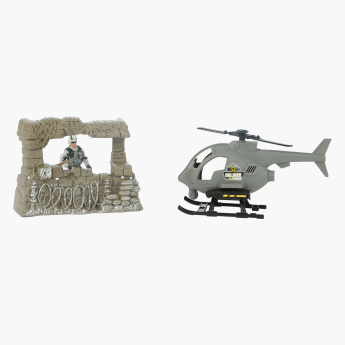 Feature 1 : Join the hero with his action vehicle and lots of accessories and help him save the world from doom. 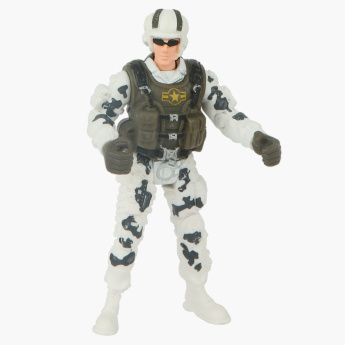 Feature 3 : Comes in 2 assorted designs consisting of 1 action figure, 1 vehicle, weapons and tools. Feature 2 : Detailed body and facial expressions.